The National Collaborative on Workforce and Disability for Youth (NCWD/Youth) assists state and local workforce development systems to better serve all youth, including youth with disabilities and other disconnected youth. 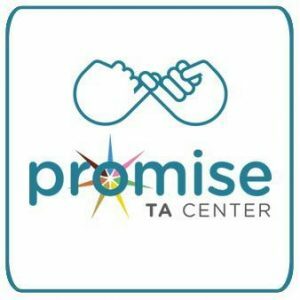 The National Technical Assistance Center on Transition (NTACT) assist State Education Agencies, Local Education Agencies, State VR agencies, and VR service providers to implement evidence-based and promising practices ensuring students with disabilities, including those with significant disabilities, graduate prepared for success in post-secondary education and employment. The Promoting the Readiness of Minors in Supplemental Security Income (PROMISE) program, state agencies have partnered to develop and implement six model demonstration projects (MDPs) that provide coordinated services and supports to youth with disabilities receiving supplemental security income (SSI) benefits and to their families in order to improve education and career outcomes. Six model demonstration projects have been established serving a total of eleven states. The purpose of the Workforce Innovation Technical Assistance Center (WINTAC) is to provide training and technical assistance (TA) in five topic areas related to WIOA, including pre-employment transition services that lead to effective implementation of the requirements set forth in WIOA to State Vocation Rehabilitation Agencies, and their partners.